iOS 7 abolished many of the design paradigms of its prior versions in its main design, and that has filtered down to every major app built in to your device. But user interface isn’t the only thing that’s gotten an overhaul—some apps have new features as well as a new look. Here are some of the more minor stock app redesigns and updates in iOS 7. Apple has opted to remove the memory buttons on the calculator in portrait view; instead, you get a larger number pad and a percentage function—good for calculating quick tips. 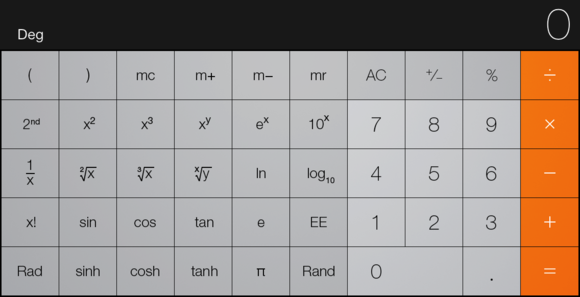 Landscape view, as always, brings you into scientific calculator mode, where Apple has added a few new functions. The lineup now includes buttons for the square root, cubed root, and Euler’s number functions. 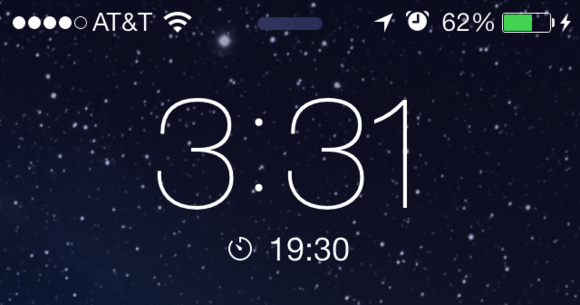 World Clock On the iPhone, you tap the screen to switch from clock to numerical time view; previously, you could view both at once. The clock instead uses that extra screen space to keep track of time changes—underneath each city, you get a readout that lets you know how far ahead or behind you are in comparison with the other cities on your list. 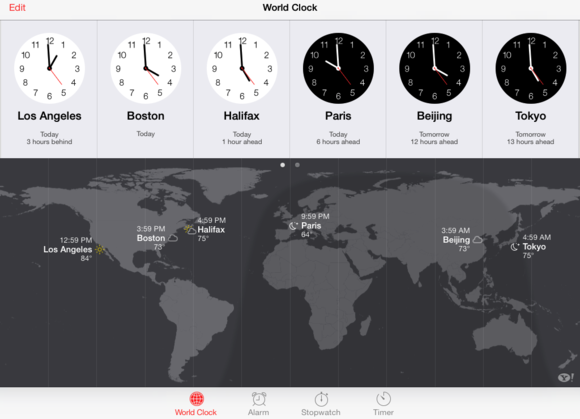 Check local times and weather from the Clock app. 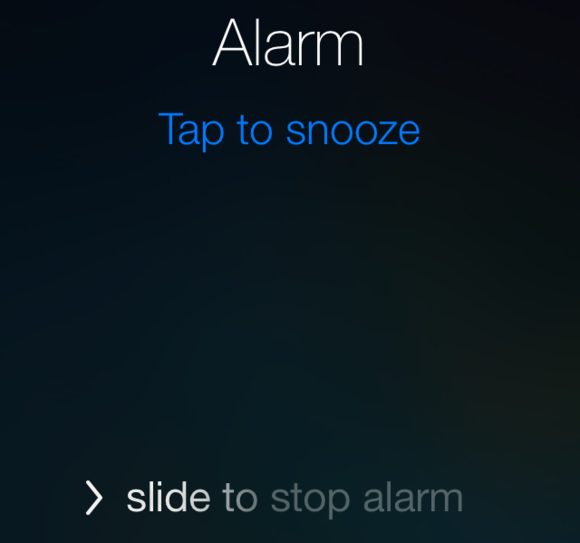 You can now tap anywhere on your device’s screen to snooze your alarm. 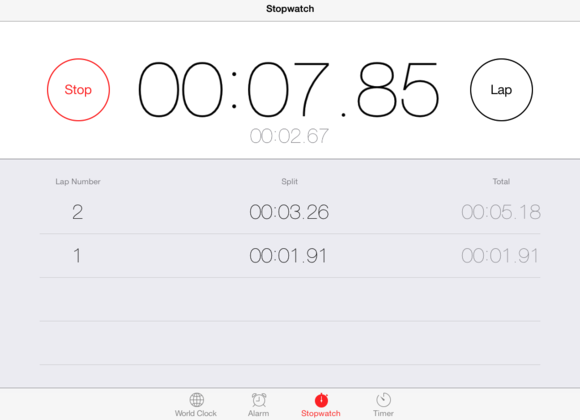 Stopwatch There’s one small change in the Stopwatch tab—the stopwatch now goes to two decimal places rather than one. The stopwatch is now more accurate in iOS 7. The timer ticks down even from the lock screen. Game Center was perhaps one of the most ostentatiously skeuomorphic apps in iOS, with its green felt and burnished wood. In iOS 7, it’s gotten a complete reworking, with plenty of colorful bubbles and the same minimalist interface you’ll find throughout the rest of the OS. But in terms of new features, the list is pretty short. Game Center’s new interface is far from green felt and wood, but still tries to convey an attitude of fun. 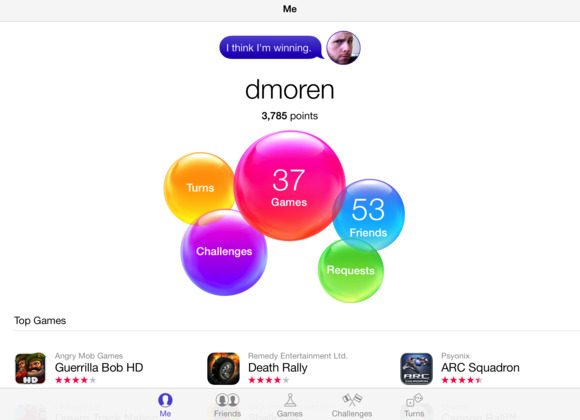 When you first launch Game Center in iOS 7, you’ll see a new profile screen with your status in a word bubble (tap it once to edit it) and a circular profile picture (tap this to choose a new one from your photos or to take a new picture on the spot). Large colorful bubbles show your number of games, friends, requests, challenges, and turns. Tapping any of those takes you to the relevant screen in Game Center; you can also use a toolbar at the bottom of the screen. The only truly new feature in Game Center is Turns, a screen that shows all your current turns in games you’re playing, assuming those games are using Apple’s turn-based game system and not their own private system. You can now receive Passbook passes via QR code. 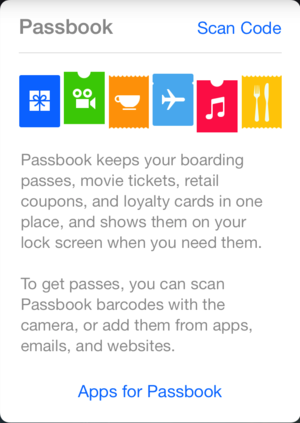 You can share your Passbook passes, as well—tap the Share button on an individual pass to send it via Mail, iMessage, or AirDrop. Continuing Apple’s focus on redesign and simplification in iOS 7, the Stocks app (available on the iPhone and iPod touch only) gets a new mostly black interface, with white text and red and green highlights. 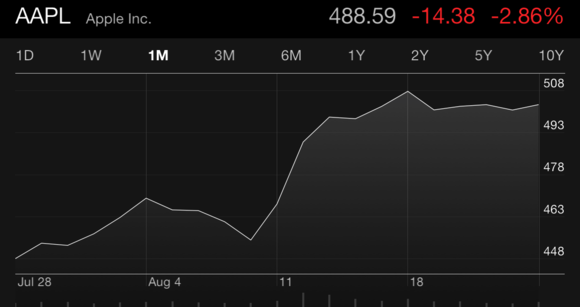 The Stocks app is relatively unchanged save for a sleeker black interface. Functionally, the remainder of the app is identical—to add or edit stocks, you use the list icon instead of the info icon, but otherwise there are no changes. The Weather app has a few new tricks up its sleeve in iOS 7, though it’s still only available for the iPhone and iPod touch. At first glance, the most obvious change is the animated photo backgrounds reflecting the weather conditions of whatever city you’re looking at. Apple has also revamped the way Weather presents information and how much data it makes available. The new Weather app can give you a quick overview of temperatures and conditions in all the cities you track. Weather now offers more detailed information about the forecast at a tap. However, in iOS 7, if you tap the current conditions and current temperature, you’ll get more information, including the current humidity, chance of rain, wind speed, and the “feels like” temperature. The other major new addition is the list button in the bottom right—tapping it provides you with an overview of the weather conditions and temperature in all the locations you’re tracking. You can rearrange their order by tapping and holding on any of the locations and dragging it to a new position (your Current Location, if you haven’t disabled it in Settings > Privacy > Location Services, is always at the top.) A toggle button at the bottom of that list mode switches between Fahrenheit and Celsius, and a plus (+) button lets you search for and add a new location.